Members of Craft Works Music in the WRTI Performance Studio on April 9, 2019. Live broadcast on April, 9, 2019 with Craft Works Music. WRTI's Susan Lewis, host. 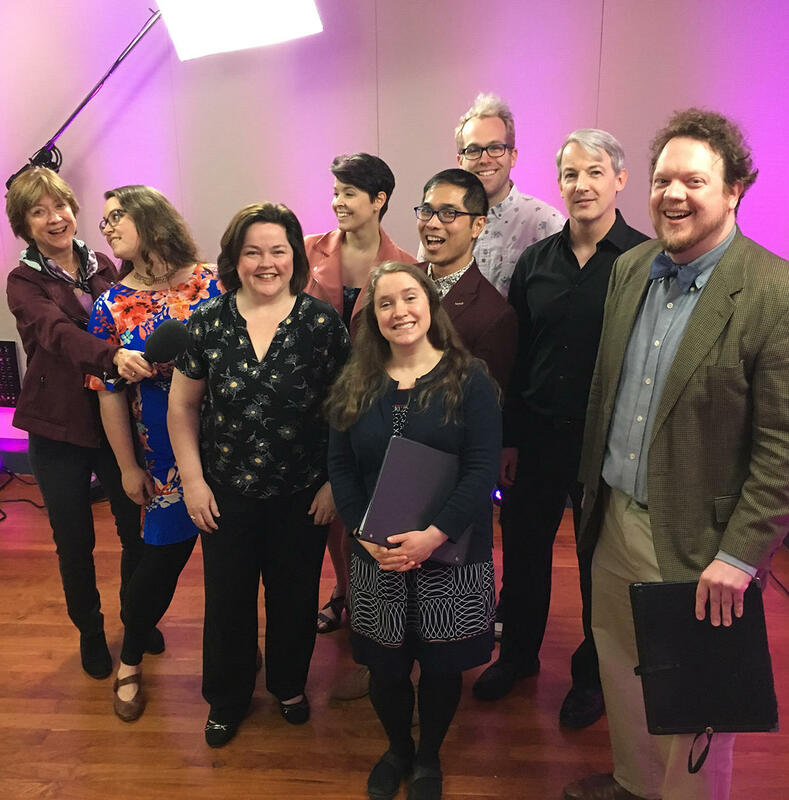 Celebrate the season with us as Craft Works Music visits the WRTI Performance Studio to sing madrigals and other works inspired by springtime. WRTI's Susan Lewis is host. Craft Works Music is a group of professional musicians working in the greater Philadelphia area. Founded in 2017, Craft Works develops, discusses, and performs music from all eras, genres, and cultures, mainly in the choral repertoire. Craft Works explores and collaborates with other musicians and experts about the process of crafting music and shares this via podcast and live events. Its next podcast release is Bel Sancto- a special pre-Holy Week focus on this scandalously operatic sacred music.